State regulations now require all New Jersey hospitals to support breastfeeding moms and babies. If a hospital does not do so, a patient may file a complaint with the New Jersey Department of Health (see “How to File a Complaint” below). A full copy of the regulations concerning breastfeeding may be found here. All hospitals in New Jersey with maternity units must develop and implement policies that support breastfeeding families. These policies must ensure the following. Evidence-based information about infant feeding must be provided to all patients at any preadmission contacts and at the time of hospital admission. Topics of education must include successful breastfeeding management, health outcomes of both breastfeeding and formula feeding, and potential contraindications to breastfeeding. All educational materials must be in languages spoken by at least 10 percent of the hospital community. These printed educational materials must be free of commercial interest and may not contain advertisements from other companies. 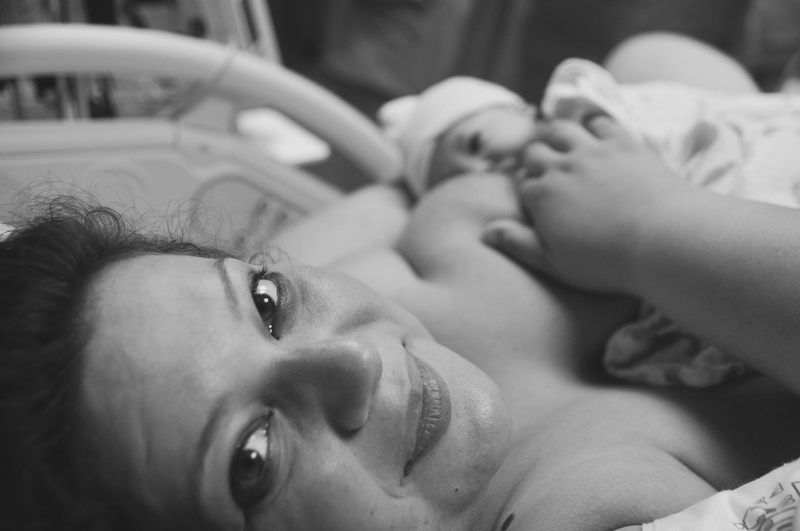 Providing skin to skin to her newborn and nursing within the first hour of life. Baby is to remain in physical contact with mother or a primary caregiver as the preferred source of body warmth for the first hour after the delivery, unless this is not medically possible or not desired by the mother. All newborn assessments should take place while the newborn is with the mother unless contraindicated. All mothers who wish to breastfeed must be offered support with positioning and latching during the first hour of the baby’s life. Childbirth, breastfeeding and patient care support must be provided by skilled health care providers, it must be culturally sensitive and must be in a language understood by the mother. A comprehensive feeding assessment, along with any necessary follow-up feeding assessments, must be completed by an International Board Certified Lactation Consultant (IBCLC) or a staff member of the Obstetrical team who has demonstrated required core competencies in infant feeding practices. Obstetrical staff must provide evidenced-based information and education about rooming in, delaying the use of a pacifier, and the identification of infant hunger cues. Hand expression of breast milk and/or use of a breast pump must be taught and encouraged within four hours of a mother being separated from her infant(s) or of experiencing ineffective breastfeeding. Patients must receive evidence-based information about medication use while breastfeeding, if medication is medically indicated. Mothers who wish to breastfeed must receive appropriate breastfeeding education upon discharge from the hospitals. For mothers being discharged less than 48 hours after delivery, discharge planning should including home health services if needed. Mothers should receive referrals for community support upon discharge, including breastfeeding support groups and other resources available (please see org for a list of breastfeeding support services available in your area). Hospital obstetrical staff who provide breastfeeding care and consultations must be trained and proficient in the core competencies needed for initiation and maintenance of infant feeding. According to the regulations, these core competencies must include, but are not limited to, those contained in “Implementing the Joint Commission Perinatal Care Core Measure on Exclusive Breastmilk Feeding” found here. The training content and printed teaching materials must be evidence-based and free of commercial interest. In addition, hospitals must develop and implement a policy on formula company discharge bags, gifts and promotional materials and their impact of the distribution on exclusive breastfeeding. In other words, while the new amendments do not impose a ban on hospitals distributing formula company gift bags, they require hospitals to deal with the negative impact these giveaways have on breastfeeding. Since formula gift bags have no positive effect on breastfeeding, these regulations effectively require hospitals to stop their distribution. The amended regulations require all hospitals to develop and implement practices that support breastfeeding mothers in their emergency departments. These policies require emergency department staff to determine whether a woman who comes to the emergency department is breastfeeding and if so, to help her with expression, storage and use of her breastmilk. Hospitals must develop and implement practices supporting the needs of breastfeeding women and children at all points of hospital entry including registration in the emergency department, upon arrival for same-day surgery and admission to the hospital. Consumers who do not receive breastfeeding support and care as outlined above or employees who work at hospitals that do not provide the required care may report the hospital to the NJ Department of Health (NJDOH). Information on how to file a complaint can be found here. Complaints submitted by phone, fax or mail may be anonymous. Complaints submitted online must include the name of the complainant, but that information will not be shared with the hospital. The NJDOH must investigate all complaints received from the public. If after investigation the NJDOH finds the hospital to be in violation of the regulations, the NJDOH may assess a penalty against the hospital or in very extreme cases, even revoke or suspend the hospital’s license. If you need more information about the hospital regulations, please contact the New Jersey Breastfeeding Coalition here.